Thanks for making this the Greatest Plunge on Earth! MONEY RAISED FOR SPECIAL OLYMPICS ATHLETES: $281,000 and counting! Gold: Circus, Riverside Police Dept. PHOTOGRAPHIC EVIDENCE Visit our Flickr for downloadable event photos (coming soon) and YouTube for the video of the Plunge! ADDITIONAL DONATIONS: It’s common for friends and relatives to wait until after the Plunge for proof that you actually went into the lake. That means now is the time for them to make a donation! For those who created fundraising websites, your site will remain active through April to receive donations. You may also send any checks or money orders payable to SOMO to: SOMO, Attn: Polar Plunge, 9001 W 67th St, Merriam, KS 66202. If you have any questions, please email us. 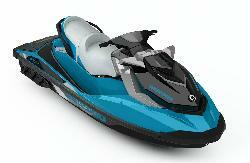 SEA-DOO GIVEAWAY EXTENDED! You now have until March 9 to raise and turn in $500 for an entry to win a 2018 Sea-Doo GTI SE! Thank you to Missouri Powersports Dealers Association for the Sea-Doo donation. SHIRTS If you didn’t receive your shirt on Plunge day, it has been ordered. Shirts will be mailed to the address on your event registration. If you don’t receive your shirt by March 19, please contact Kami Delameter. VOLUNTEERS NEEDED: Want to become more involved with SOMO? We need your help to make our West Regional Basketball Tournament a success. The tournament is Saturday, February 23 in the Sedalia area. There are over 120 spots for time/score keepers in both the morning and afternoon. Sign up today. MAKE A DIFFERENCE Want to make a bigger difference in our athletes' lives? Find out just how easy it is to become a coach at www.somo.org/coach! On behalf of all the athletes in the area, please accept our most humble thanks for your bravery, craziness and warm generosity to support our year-round efforts to garner acceptance and inclusion through sports. We always have something going on, stay in touch on our website. We are always looking for volunteers, visit our calendar. Enjoy your thaw --- we'll see you next year! * New this year! Raise and turn in $500 by March 9, 2019 for an entry to win a brand-new 2018 Sea-Doo GTI SE! Thanks to Missouri Powersports Dealers Association for this donation. The Polar Plunge is a project of the Law Enforcement Torch Run(R) for Special Olympics Missouri. Belton PD, KCPD and Lee's Summit PD are proud to host this event. If you hae questions about the event, contact Adam Wright at wright@somo.org. You may mail offline donations to: Special Olympics Missouri, Kansas City Polar Plunge, 9001 W 67th Street, Merriam, KS 66202. Please include your name in the memo line of checks.